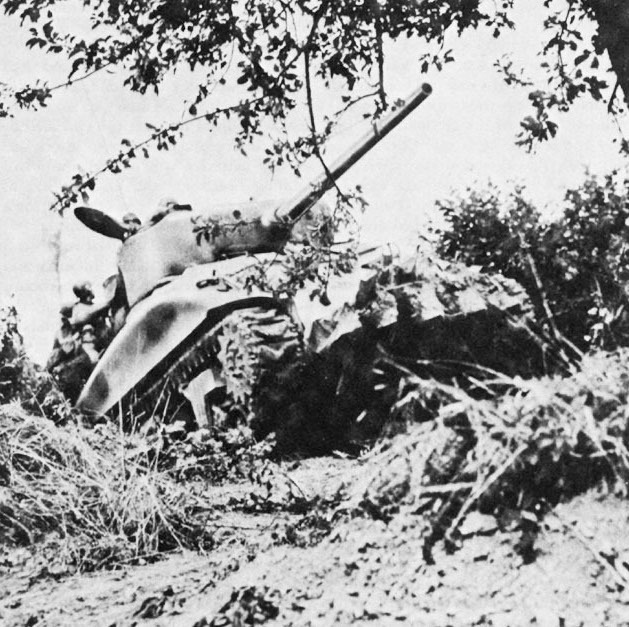 A Sherman tank, with a hedgerow cutter, crashes through a hedgerow in WWII. Here is my recipe for tripel. As I mentioned in the series of articles on tripel, the recipe for a good tripel can be very simple — and this recipe is as simple as you can make it, just Pilsner malt, sugar, hops, and yeast. They key to brewing a great tripel is running a good fermentation. Using high-quality malt and hops is also important. 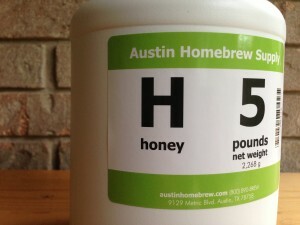 If you plan to brew tripels often, take good notes when brew this, and tweak the beer to your liking in subsequent brew sessions. Relatively little changes in the fermentation can lead to tastable changes in the finished beer, so take extra care to monitor the fermentation and record all the details. This is a classic Belgian-style tripel, based on the famous Westmalle Tripel. It is a strong (9% ABV) beer that is light in color. The (relatively) high hopping rate, low final gravity, and high level of carbonation give the beer a dry feel, relative to other beers of this strength. There are no spices in this beer. However, the yeast strain and fermentation conditions add a moderate amount of fruity esters and phenolic “spice” to the beer.